Within less than ten minutes, VMI Can’s drying ovens are fully heated and operational. 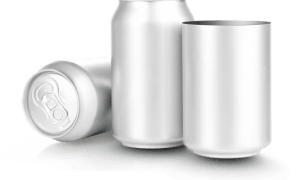 With operating temperatures of 150 to 230 degrees Celsius, the cans are dried ultra-fast. The machine has been very well insulated, to keep the heat in and assure that outside wall panels stay cool. Not only making the machine safer, but foremost considerably saving on energy costs. The highly efficient 325 kW gas burners in the direct air-heated ovens use less than 20 m³ of natural gas per hour, based on 2,400 cans per minute. Gas consumption can be even further reduced by using LPG. With lengths of only 2.4 meter per section, the compact design takes up limited floor space. The internal belt return path guarantees a minimal heat loss. The VMI dry-off ovens are equipped with stainless steel wire mesh conveyor belts, resulting in reduced maintenance. The rooftop safety railing and insulated inspection doors allow for easy entrance and maintenance. By means of adjustable nozzles, you can process a wide variety of can sizes. VMI dry-off ovens are designed to dry two piece beer, beverage and food cans. A vacuum transfer unit transfers the cans from the washer onto the oven belt. At the same time the vacuum transfer reduces the amount of liquid going into the oven and sorts out tipped cans. 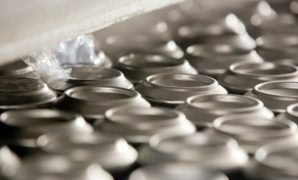 While the cans are transported through the oven, hot air is blowing down over the cans and is re-circulated by centrifugal fans through ducting at both sides of the drying chamber. An exhaust fan is drawing off the evaporated water and keeps the oven at a negative pressure to prevent it from steaming. To ensure the dry-off oven is as efficient as possible, the oven temperature is controlled by a high tech temperature control system. Furthermore, the oven side walls are insulated with a combination of Rockwool and air. The outside wall temperature will always be maximum hand warm.